Home / Local SEO / Why is Local SEO Important? More than 40 percent of online searches now focus on returning results for local companies, and Google, Bing, and Yahoo have changed their algorithms to address that need. If you haven’t already noticed, search engines deliver search results based on the physical location of the person performing the search. If your intent is to buy something locally, then Google will more than likely return a listing of the names, addresses, phone numbers and websites for local businesses providing what you want to buy. Unfortunately, a search engine can only do that when the sites it scans contain the information needed to perform this pre-selection. The website that fails to optimize locally could find itself relegated to page 10 or worse of the search results: that is, if it shows up at all. Aren’t Traditional and Local SEO Efforts Really the Same at Heart? Yes, at least in the sense that both types rely on using an online marketing strategy that provides visibility to the products, services and solutions provided by a company. Any website that hopes to rank well must emphasize the services or products that constitute its reason for existing. However, employing local SEO efforts in addition to traditional tactics will help increase your visibility to mobile users in your local area looking to buy your products or services. By capitalizing on your business’ physical location(s) you can increase your visibility on search results pages (SERPs) and attract customers within a few minutes drive of your business. Companies that claim their local profiles on Google+, Yahoo Local, Bing Local and more increase the likelihood that local buyers will discover their website. If your company fails to appear correctly in those local search listings and directories, these people may never find you at all. Registering with every possible local search engine will enhance your visibility and help you compete favorably with similar companies. However, there’s more to it than simply adding your address and calling it a day. Although, having a really solid NAP document is a key first step. The diversity of available techniques mandates the assistance of a pro to get it right. For the website that fails to localize, good search rankings just became a whole lot harder to achieve. – Get your website and your company noticed. The new algorithms give the nod to sites with lots and lots of local information. – Meet the requirements of a mobile society. With such a large percentage of online searches taking place on portable devices, this is not a segment you want to ignore. – Get more bang for your buck. Its relatively inexpensive implementation rewards local SEO with a positive ROI. – Compete favorably in the global market. Once your competitors start going local, those who fail to keep in step could find themselves lost in the search engine dust. What are you waiting for? 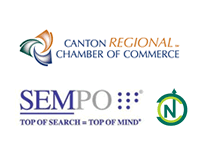 Contact Sanctuary Marketing Group to learn how we can increase the volume of LOCAL sales for your Akron, Canton or Cleveland business.